The winner of our Free App Poll this week is Tic Toc Timers by Sliday Ltd! This free app for iOS guarantees that you’ll always call back in a timely fashion, your hot dates will never be late for dinner and you’ll never miss your next intergalactic flight just because you’ve overslept. • Incredibly appealing timers, definitely one of a kind. • An icon cup can be used for recalling a coffee date you had planned with your significant other. 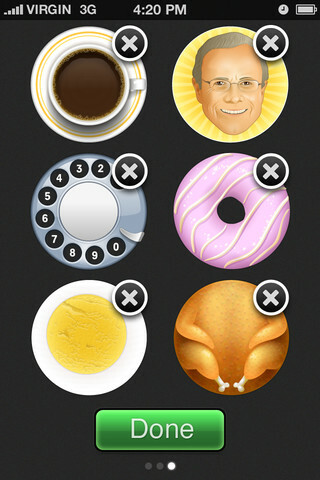 • Egg icon will remind you about the food you planned on buying at the store. Here’s brief description of how the Tic Toc Timers Work - if you need a reminder after a certain period of time, such as for buying dozen of eggs on the way from work, you can simply see the image of an egg and recall the task. The app developers promise you’ll find this creative way of remembering incredibly appealing. Tic Toc Timers is available in the Apple App Store for free and requires iOS 4.3 or later to be fully functional. So go and grab this amazing remembering tool and never be late for work anymore!